R2AK Recap - 99 Problems, But a Boom Ain't One - Global Diving & Salvage, Inc. If you were obsessively tracking Global’s two teams in the Race to Alaska like we were, you know they made it all 750 miles up the Inside Passage, from Port Townsend, WA to Ketchikan, AK. If you weren’t keeping tabs on the (mis)adventures of Team Global and Team North2Alaska, we encourage you to look back through their Facebook pages, and check out our previous blog posts: R2AK: Our Favorite Kind of Crazy; Global Employees Ready for Rugged Race to Alaska; and R2AK Stage 2: Global’s Racers Weather the Storm. The Race to Alaska (R2AK) is a tough, cold, unpredictable, incredibly challenging endurance race — the longest race in the world of its kind. At Global, we love a good challenge. It’s why we do what we do. It’s also why we’re a sponsor of this year’s R2AK. But as much as we love challenges, even Global’s CEO Devon Grennan says actually racing in R2AK seems a little out of his league; play the video to hear his comments on the race, the teams, and why Global hires people like Katy Stewart, Marine Casualty Project Coordinator, and Malachi Church, Environmental Technician. 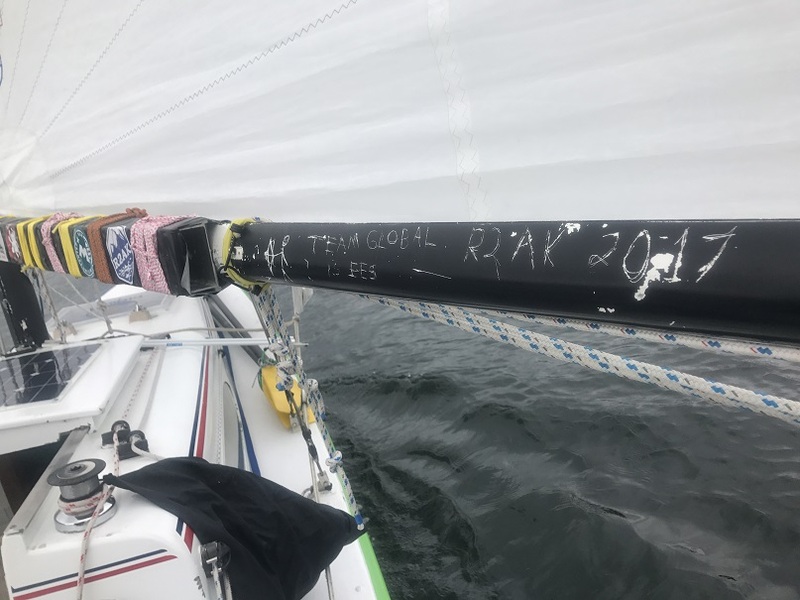 Team Global finished just three hours behind North2Alaska, hitting the finish line at 10 days, 1 hour and 54 minutes, finishing in lucky #13 position after a number of setbacks along the way. In an event where nearly 50% of the teams drop out, simply finishing the race is a massive accomplishment and a testament to perseverance. Congratulations! That race is quite an undertaking. Already can’t wait to follow your exploits next year.